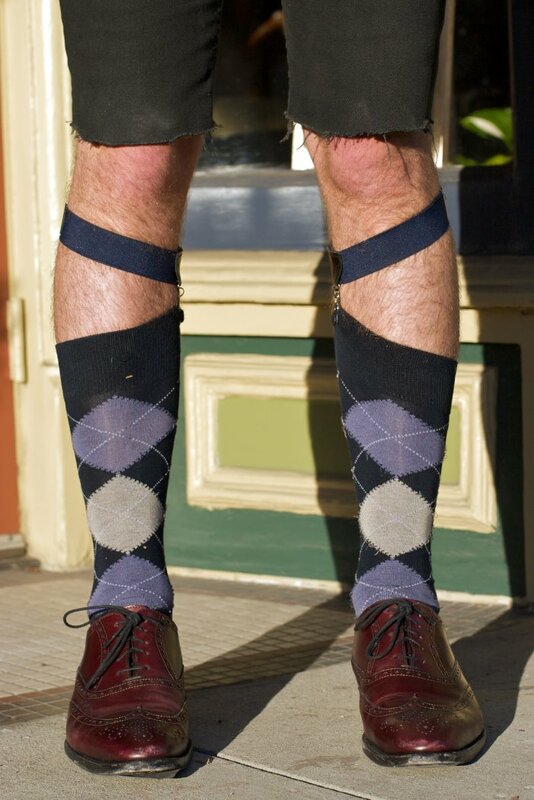 I think part of the beauty of Leif's outfit is that what he is wearing is typical SF male denizen from the cut-off shorts up, but when you look at his sock garters, socks and beautiful shoes you can't help but smile. 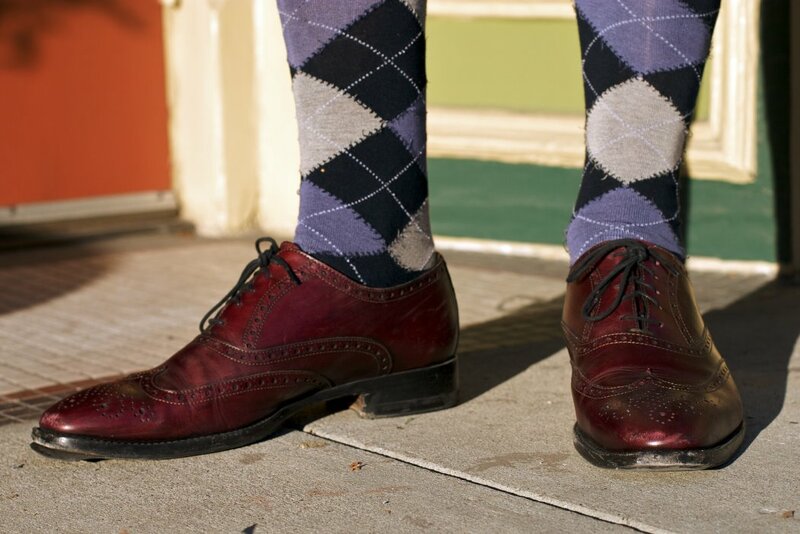 Lovely oxblood brogues/wingtips worn with argyle socks. 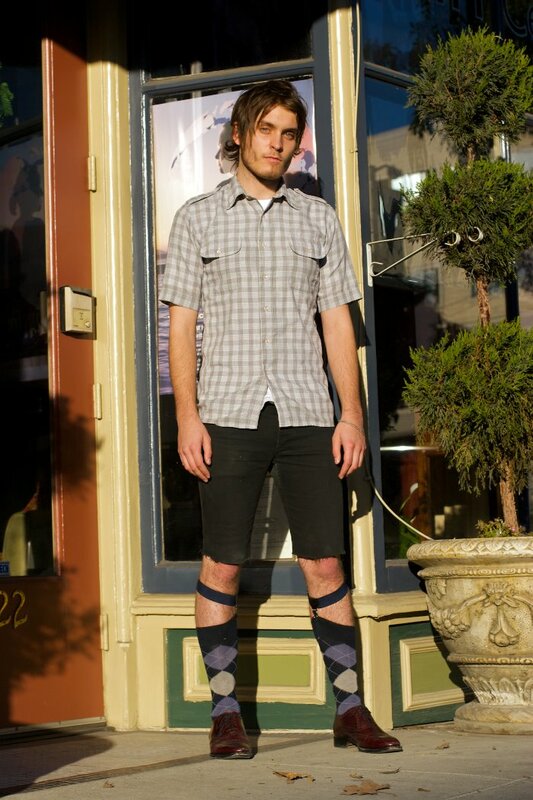 Socks should be secured on both sides of calf, but original nonetheless.